I love geocoins. Can’t get enough of them. Just ask my credit card company. When I was a little kid, I collected various things: My Little Pony, Polly Pocket, Sylvanian Families and various other toys I can’t recall now. 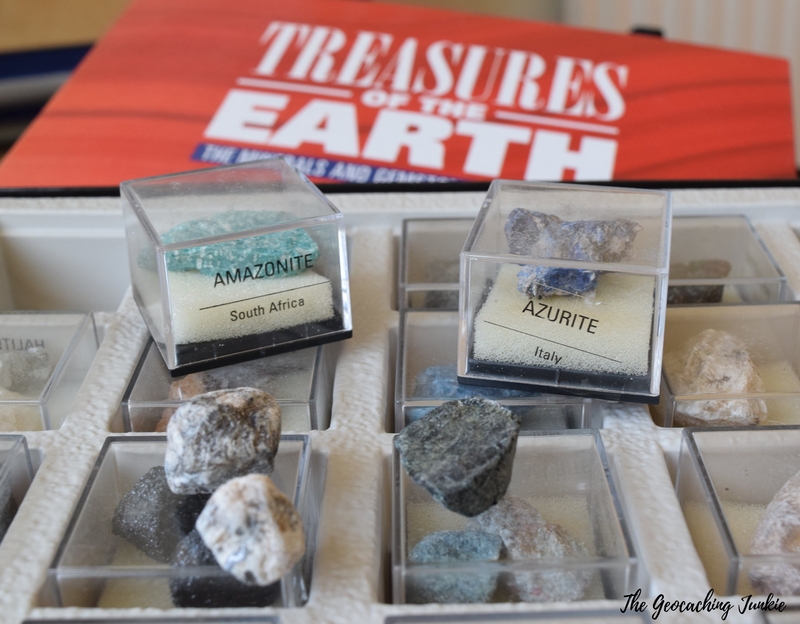 When I was a bit older, I started collecting Treasures of the Earth, a magazine about minerals and gemstones. Each issue came with a free mineral or precious stone. Perhaps that’s where my love for Earthcaching comes from. That particular collection is still gathering dust in my mother’s house. But I digress. The bottom line is, I have a penchant for collecting, so when I found an optical illusion geocoin in the third cache I ever found, I was intrigued and fascinated. My newest collection was soon born. So where did the whole geocoin thing come from? If you’re a collector like me, you’ve undoubtedly heard of Moun10Bike. Described by the Geocaching Blog as the ‘Father of the Geocoin’, he placed the second geocoin ever created in Light House Point (GC126C) on 30th September 2001 (he kept the first geocoin he had minted for his own personal collection). You can read his found it log for that cache – his milestone 100 – here. Moun10Bike took a little time to talk to me about his big idea and what he thinks the future holds for trackables and geocoins. Sarahmur: How did you come up with the idea for geocoins? Moun10Bike: Early on in the game, I could tell when one of my friends had been to a cache before me as soon as I opened the container by spotting one of his signature items in the box. I thought that was pretty cool and wanted to develop a signature item of my own. In the summer of 2001 I was at the first event ever held in my area and mentioned by desire to come up with a signature item in time for my upcoming 100th find. A fellow cacher in attendance described military challenge coins and I knew right there that a coin was for me! S: Did it take you long to come up with the design? I had created the logo I used on the front side years prior for a t-shirt design for a group of my mountain biking buddies. I felt it represented me well. For the reverse, I altered the Groundspeak logo to fit better on a round surface. I really wish that I had brightened up both sides a bit more. S: Did you ever imagine it would become so popular? M: I didn’t, and for the first year or so I thought it would remain a fairly unique thing in the geocaching world. 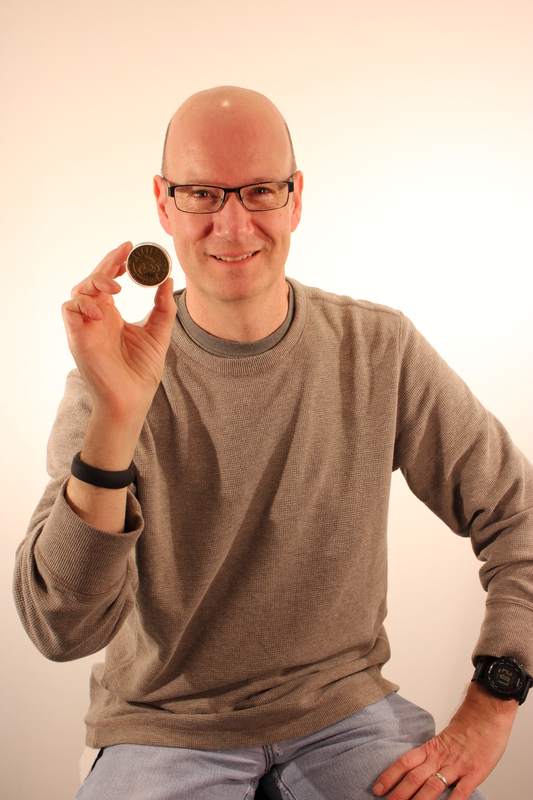 I was partially right, as it took a while for another geocoin to come out – about 6 months. However, not long after that the floodgates let loose and within a couple of years there were more designs than I could possibly keep track of. S: Did you ever think your coins would become so renowned in geocaching circles? M: I knew that signature items were popular among collectors, including myself, so I figured that people would want to keep them – that’s why from the outset and I explicitly made it known that they could be kept. However, I never expected that they would become their own meta-category of signature item and develop into a whole industry unto themselves. S: How many coins do you have in your collection? M: I really have no idea! I would estimate around 3-4k. I religiously chronicled all of the coins I found, traded, and otherwise acquired up until about 2006 when the designs started coming out so fast and furious that I threw my hands up in surrender. I now have a collection of well-organized binders for coins I obtained during the first few years, and then several large bins containing completely unorganized coins gathered since then. Eventually, I hope to have my entire collection organized in binders (with some special editions displayed on my desk in stands). S: Do you think you will ever stop collecting? M: No, but I collect at a fairly mild pace these days. I tend to only seek out coins that have special meaning to me and that are directly related to something in my life or to geocaching as I enjoy it. S: Aside from your own coins, do you have a favourite in your collection? M: The first item that pops to mind is the coins that have been created for the Going Caching Mega-Events in Georgia in the US. Not only are they works of art, but they have elaborate puzzle mechanisms built into them. They are fantastic! S: Do you have any coins on your wishlist at the moment? M: I honestly don’t. For several years I tried to keep up with everything that was coming out, but obviously that became mentally and financially impossible before too long. When I started seeing coins being minted that had nothing at all to do with the user or geocaching, I pulled out of the collection side of things almost cold turkey. Now I use a passive approach to collecting and let designs come to me rather than seek them out. S: Are you involved in the design of new coins at HQ? M: Nope, they don’t let me near those. Have you seen just how bad some of my designs were? 🙂 Seriously, we have some absolutely amazing designers here at Groundspeak who blow my socks off daily. I’ll leave the design work to them! S: Finding geocoins in caches is becoming more rare as people are afraid to set them free for fear of having them go missing – do you think it’s a bad thing to not release your coins? M: I don’t think it is bad, just a bit depressing. I’m a proponent of updating the logging system for trackables to make it easier for new players to understand and take part effectively. I am also pushing for a way to allow players to help improve the reliability of cache inventories through a system of reporting when a trackable appears to be missing. We’ll get there eventually. S: What’s the weirdest thing you’ve seen that someone made trackable? M: I think a car door. There was one floating around HQ a couple of years back after being dropped off at a Block Party. S: What do you think the next big thing in geocoins/trackables will be? M: Whatever it will be, I’m sure will surprise me! J As for things I’d like to see, I’d love to support custom tracking codes (like vanity license plates) as well as a new trackable type dedicated to discoveries in order to separate traveling items from those things people want to have discovered virtually. 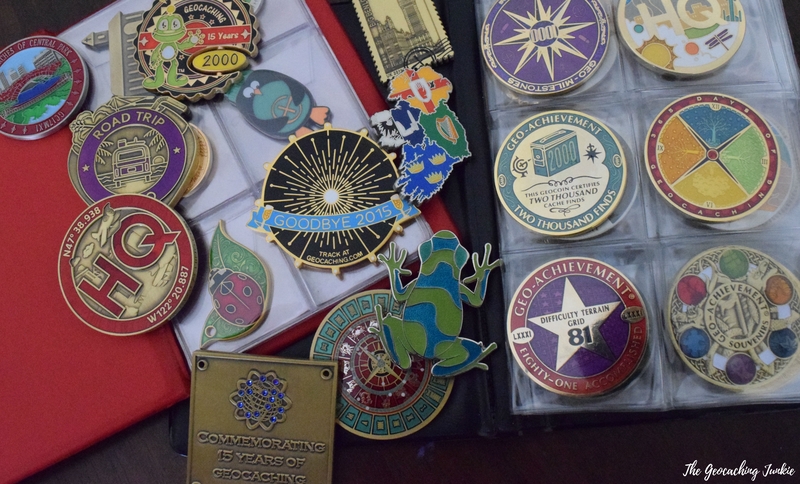 Collecting geocoins, sharing them with other geocachers and discovering them in caches and at events is a part of geocaching that I love and I can’t imagine the game without them! And to think, how different it all could have been if Moun10Bike had decided on a different signature item fifteen years ago. Many thanks to Moun10Bike for talking to me, and of course, for adding another dimension to the game we all love. Do you collect geocoins? How often do you find them in caches? Let me know in the comments! When I first started hiding caches, sometimes the entire cache got stolen, and it would have a trackable in it,(not mine) never to be seen again…so, I decided none of mine were going to be in geocaches, and kept safe in my own collection. I was in Homer Alaska when I saw my first laminated paper trackable. I asked the owner, do I keep it or move it like a regualar trackable. He said the trackables in the Turnagain Arm area were being stolen, so he put out a “Proxy” instead, and to move it like a regular trackable. A-Ha!! Ever since then, I buy trackables I like, or can afford, and make a laminated trackable, with nice big clear numbers, and laminated note attatched to tell what it is and what to do.Originals are in my collection, and I post a picture on the trackable page of what it would look like. I have about 100+ proxy trackables out there…and every year, even some of them go missing..fire/theft for the attatchment/or other reasons. Easy to make another trackable proxy and keep the original in your own collection, not some thiefs. We don’t find all that many trackables out there anymore, and its rare to find a coin. I do keep records of everything found and discovered though, and do that diligently. I also am a collector type, and my favorites are event attended ones, and especially every achievement coin I have earned..both for finding, and for hiding. I attended the HQ tour, and also the Ape event, and was gifted by Moun10bike trackable..one of my prized possesions. Wow you have a Moun10Bike – I am jealous 🙂 thanks for sharing your story! I got into geocaching via coin collecting. Regular coin collecting that is. One day a collector buddy posted a pic of a weird looking coin into one of the Facebook groups asking what it was so I googled it and the rest is history. Found my first cache the next day and in it was a micro geocoin. I was unsure of what to do with it so I left it where it was. A couple of weeks later when I’d learned more I went back to the cache and picked it up to move it on as it was actually logged into a different cache and not the one it was in. It was my first trackable I moved and I still have it on my watch list though it hasn’t moved in a while so I think it may be lost. It was a great introduction into caching for a coin collector and this was only last year. 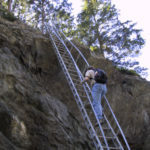 That’s definitely a first for how you got in to geocaching stories! 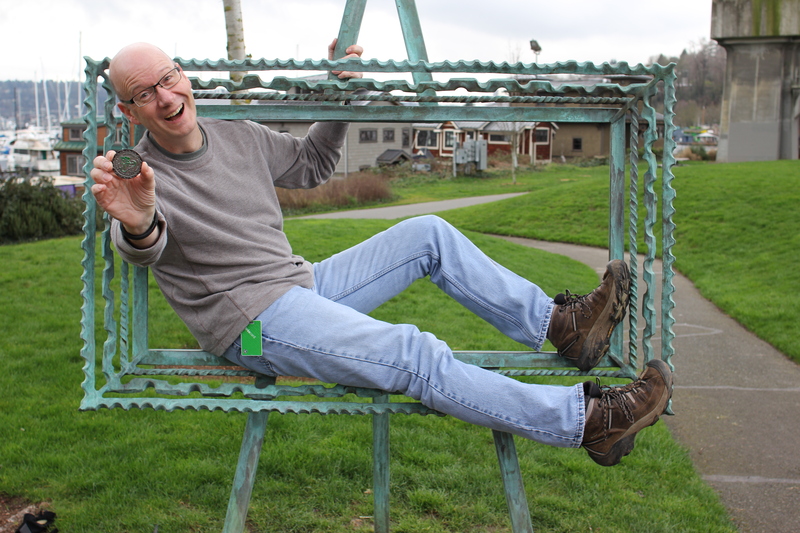 it`s a lot of fun reading your interview and for myself I am really addicted to geocoins as well as I love my hobby geocaching since the beginning of 2006. In Coins I was involved early 2006 when I bought the first one on ebay as a birthday gift for my friend who introduced me to caching. From then on I was doing research about coins, shops and desisgners and on that way I found a lot of great people with whom I am still friend and we help each other in finding -meanwhile- old coins. In 2011 I hosted the 1st european GCF and it was awesome to have have MTB No.1 at the event, although Jon couldn`t come. In 2012 I was able to meet him for the first time and I was flashed and we had a great time together with other great friends. I am very proud and happy to count 3 of his MTB versions in my collection and they are framed and they are with me on my events to show. In 2008 I started with a friend our first personal coin “Koelner Dom Geocoin” and in 2015 I had my very own 2nd personal coin “Viva Colonia Geocoin”. THANK YOU JON for bringing out the sense of signature items and I love it. Thanks for sharing your story Guido! I saw Moun10Bike speak at last year’s geocaching block party and his origin story is so cool! I have been collecting coins from visits to HQ and really want to launch some but am worried that they will go missing so they are just sitting around. 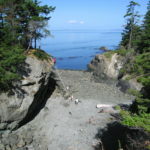 My current mission is to collect geocoins to commemorate completion of geotrails but that is not as easy as I expected. But I am having fun along the way. Do you have any examples I can look at? That’s a better alternative than having them inactive. all you need to do is either scribe the numbers onto some kind of metal tag (using one of those cheap engravers)…or make a paper one and use 5 ml laminate, leaving a bit of edge, so it doesn’t open. I also laminate a paper saying “this is a trackable proxy, please log it on to geocaching.com” and move it to another cache. I then get those split rings, and add my attatchment, like a toy or key chain fob. I buy metal dog tags at Surplus Herbies, but you could use a larger washer to scribe it into..anything metal. Recently I have seen a lot of those keyrings that take photos with a piece of paper inside with the tracking number printed and then something else attached to it.